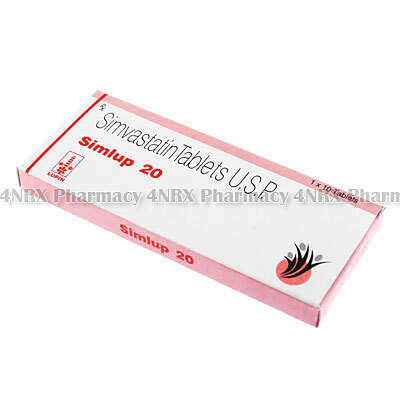 What is Simlup (Simvastatin) used for? 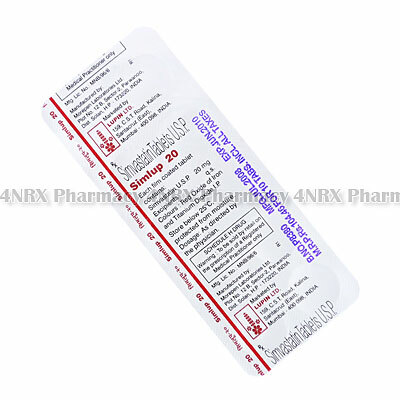 Simlup (Simvastatin) is an oral HMG CoA reductase inhibitor used to treat patients suffering from high levels of cholesterol or triglycerides. The medication operates by reducing the levels of "bad" cholesterol (low density lipoproteins) while raising the levels of "good" cholesterol (high density lipoproteins). This can prevent the occurrence of heart disease or heart attacks caused by high cholesterol. Your doctor may prescribe this medicine along with others or for the treatment of other unlisted conditions. How should I use Simlup (Simvastatin)? 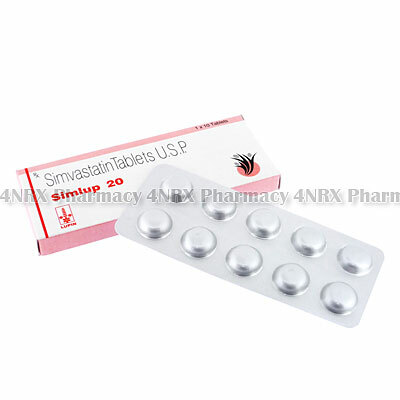 Simlup (Simvastatin) should always be used according to your doctor`s instructions to get the safest and most effective results from treatment. The normal dosage is one tablet administered once daily in the evening, but your individual directions will depend on your age, weight, health condition, and the severity of your symptoms. These should be swallowed with a large glass of water and may be taken with or without food, although a snack or meal is recommended before use if you get an upset stomach. Do not split, crush, or chew the tablets prior to use as this may destroy or alter the effects of their contents. 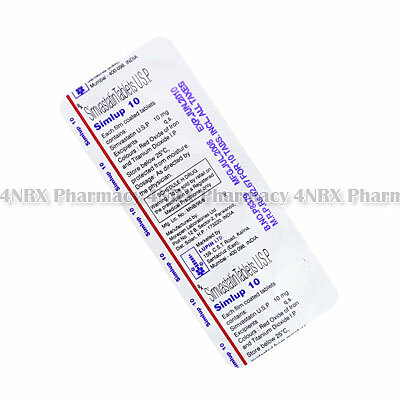 What are the side effects of Simlup (Simvastatin)? Serious side effects that may require immediate medical assistance are confusion, faintness, fever, flu symptoms, unusual weight gain, swelling, severe muscle pain, increased thirst, painful urination, darkened urine, discoloured stools, or jaundice. Contact your doctor as soon as you experience any worrying symptoms to make sure the necessary adjustments are made to your dosage or application frequency to prevent further health complications from occurring. Simlup (Simvastatin) should not be used by patients who are pregnant, breastfeeding, lactose intolerant, under the age of ten, allergic to simvastatin, unexplained raised results in liver function tests, active liver disease, or if you are taking other medicines that may have negative interactions. Also inform your doctor if you have hypothyroidism, porphyrias, a history of hereditary muscle disorders, decreased liver or kidney function, if you drink large amounts of alcohol, or if other medicines have caused severe muscular problems. These conditions may require special adjustments to your regimen to prevent further health problems from occurring. 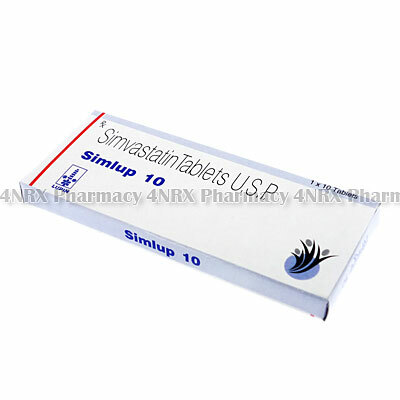 Strictly use Simlup (Simvastatin) as prescribed and follow all instructions provided by your doctor. Safe, suitable, and optimum dosage can vary and is dependent on the patient`s health and medical history, as well as the condition you are treating. 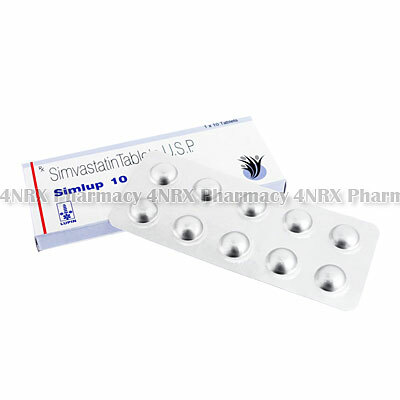 Simlup (Simvastatin) may not be safe or suitable for all patients. Always ensure your doctor is informed if you are pregnant or breastfeeding, using any other type of medication (including non-prescription medicine, vitamins, and supplements), as well as if you have any allergies, other illnesses, or pre-existing medication conditions.